After dropping her single “Vision” last month, Jackie Carlson (a.k.a. Family Reunion) keeps the momentum going with yet another new track. 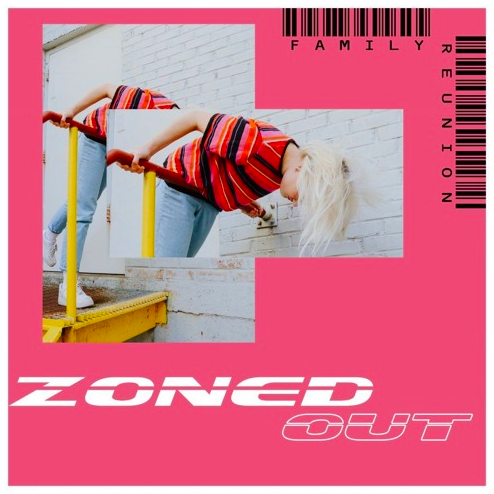 “Zoned Out” offers more of the hazy sound Family Reunion has carefully crafted over the past year, but it also carries a more stadium-like vibe that complements Jackie’s vocals. The song comes complete with a drum beat that unexpectedly knocks and some hyper-distorted production courtesy of Family Reunion’s right-hand executive producer Tombo, who just dropped a project of their own. Lyrically, Jackie turns a scarred heart into inspiration, cooing out delicate harmonies that reflect the feeling of jadedness after getting your heart broken. “I’m so tired watching my friends all fall in love” she repeats as the song fades out, leaving listeners with one last relatable, love-sick aphorism. It feels like Jackie’s pen grows sharper with each song she drops as Family Reunion, and her songwriting skills are what make “Zoned Out” hit extra hard. Stream the new song below, and if you like what you hear, catch Family Reunion along with fellow Chicago artists VICTOR! and Ric Wilson at Lincoln Hall on June 2.